The network lies before you; which path will you take? 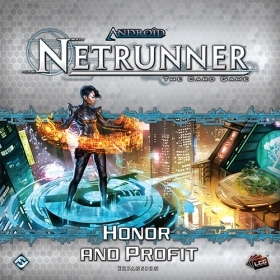 Focusing primarily on the interests of Jinteki and three new Criminal runners, Honor and Profit is a deluxe expansion for Android: Netrunner - The Card Game. 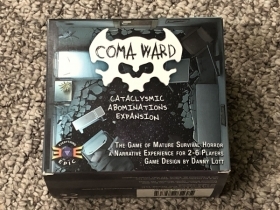 Its 165 new cards (three copies each of fifty-five different cards) feature a dizzying array of new tricks and traps, events to alter the tempo of the game, new psi talents, and six new identity cards that engender the exploration of all-new deck-building strategies. Additionally, fans of every faction will discover plenty to love among the expansion's neutral ambushes, ice, ops, AI, and connections. During its original mission, the Enterprise, Captain Kirk, and his intrepid crew visited many strange new worlds and discovered many new life-forms and civilizations. 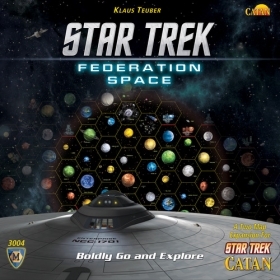 Now you and your friends can boldly go and explore this galaxy, too, with the Star Trek: Catan - Federation Space Map Set, which includes two maps depicting the Known Galaxy. Based on the "Explored Galaxy" map seen in Kirk's quarters itself, these maps allow you to settle the famous worlds of Federation Space using pieces from your Star Trek: Catan base game. Nusfjord is a tranquil fishing village in the Lofoten archipelago in northern Norway. Fifty years ago, business was blooming when the codfish would come for spawning. Today, Nusfjord is more of a museum than a village, with less than a hundred people living there. Imagine how beautiful this place must be given that you must pay a fee to even look at the houses. Cruise ships used to pass by this long and now mostly abandoned island world. In the time period in which the game Nusfjord is set, things looked quite different. Sailing ships dominate the fjord. The rocks around Nusfjord are covered in trees. 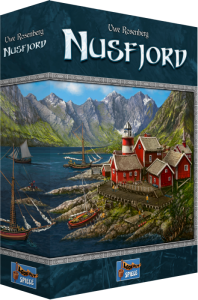 As the owner of a major fishing company in Nusfjord on the Lofoten archipelago, your goal is to develop the harbor and the surrounding landscape, and to succeed you must enlarge your fleet, clear the forest, erect new buildings, and satisfy the local elders. Others do this as well, of course, so the competition is steep. Are Gods Born or Made?